Here’s the story, ‘Brady Bunch’ neighbors … HGTV is coming to town whether you like it or not, and they’re armed for a battle — cookies, anyone?? 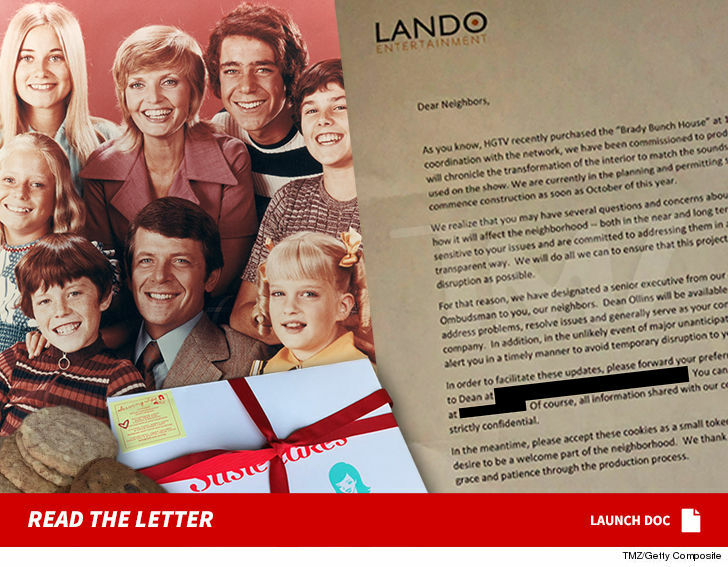 TMZ has obtained a letter Lando Entertainment fired off to a bunch of neighbors around the San Fernando Valley home that was used for ‘Brady’ exterior shots. As you know, HGTV just bought the crib, and Lando is producing the remodel project. Lando is completely remodeling the interior of the home to match the original soundstage where the show was shot … so, it’s likely there will be major construction that could temporarily disrupt neighbors’ lives. Lando’s promising to give them a heads-up when the big changes go down. 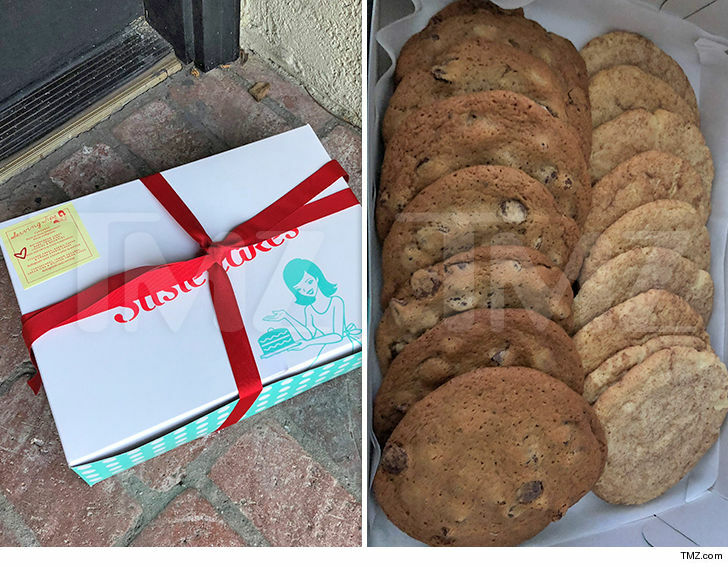 If that’s not enough to cool tempers — did we mention free cookies?